Revels led the state of Georgia with over 200 tackles last year. 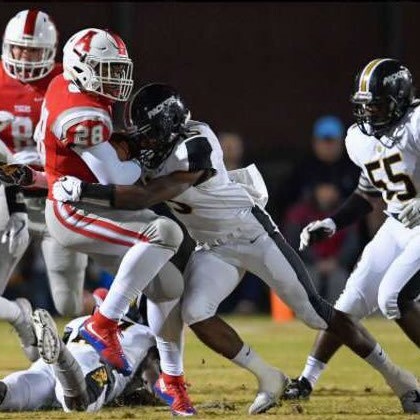 His physicality is possible highest of any defensive back in the state of Georgia. He is really aggressive getting off his blocks, and is a vicious tackler in space. Revels shows outstanding acceleration to the ball carrier, which helped with his elite tackling numbers. He has a good feel for the game, and reads the play quickly. Considering how hard he hits, I just cannot imagine power 5 schools not offering Revels. He’ll need some work in pass coverage and admittedly told me that. We see him out in space some though. On one slant pass his reputation freaked a receiver out into a drop – no contact needed. That’s the sort of psychological affect that Revels has on the game. Great player to blitz off the edge too.